We made an epic attempt to get to this screening, which was in the evening after Thiepval, France. 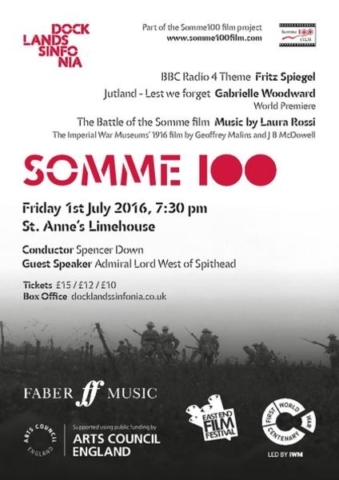 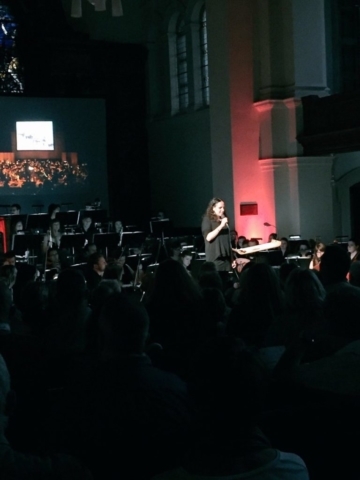 Despite being diverted in the opposite direction to get back to the Euroshuttle, Neill (project manager) and I made it just in time for the second half of Dockland Sinfonia’s concert in which they were performing The Battle of the Somme. We raced in and I had to do a pre-concert talk covered in mud from the Somme, with only 2 hours sleep in the car and I hadn’t changed my clothes for 2 days! 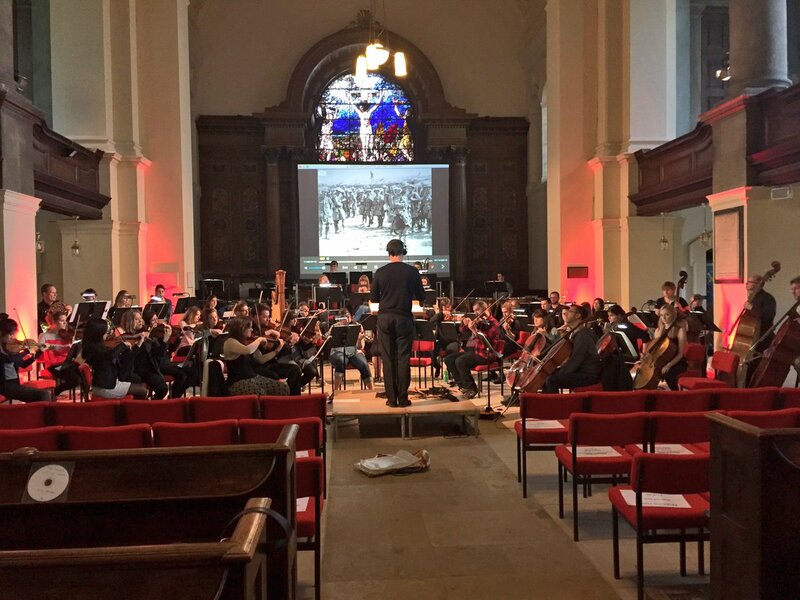 It was very special to sit there listening to the orchestra in a beautiful London Church and watch the images from 100 years ago at the Somme. Having just been there that same day – not only to the Thiepval service, but also driving across the eerily peaceful battlefields, with only a few small villages, churches, farms and the many cemeteries, it was the perfect end to such a poignant and special day.